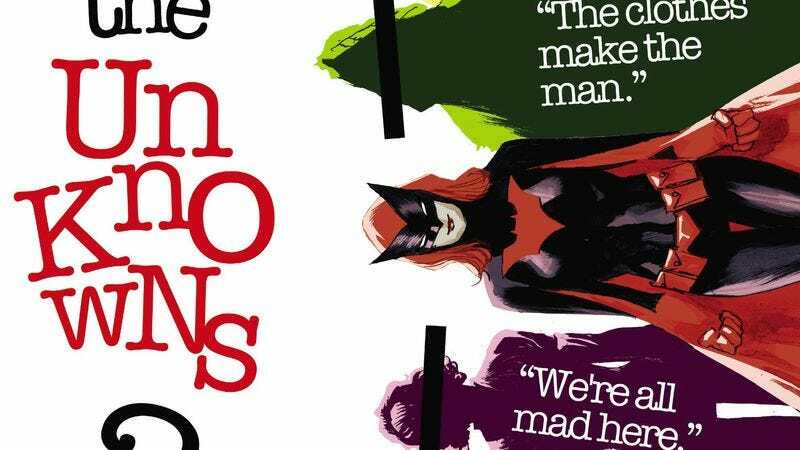 Marc Andreyko’s run on Batwoman has featured more traditional superhero stories compared to what came before. And for his new arc, Andreyko is embracing a few superhero comic conventions that push Kate Kane far out of her comfort zone. Not only is loner Kate joining a team that includes her rehabilitated sister Alice, Clayface, Ragman, and Etrigan the Demon, the gang is also headed to space to save a satellite from a mystical attack. It’s a stark departure for all the characters—none of whom belong in DC’s cosmic corner—and it shows how Andreyko is invigorating Batwoman by putting the lead character in situations that force her to explore different aspects of the superhero genre. Batwoman #35 welcomes former Buffy The Vampire Slayer and Serenity: Leaves On The Wind artist Georges Jeanty to the creative team. Jeanty’s time drawing supernatural monsters and outer space action in those Whedonverse titles makes him an ideal collaborator for Andreyko on a storyline blending sci-fi, fantasy, and superhero elements. Jeanty is joined by inkers Karl Story, Scott Hanna, and Dexter Vines, suggesting that there may be some visual inconsistency in this issue, but the switch between inkers wouldn’t be noticeable if the credits didn’t mention it. Accentuated by Guy Major’s vivid color palette, the art has a lot of energy, immediately bringing intense momentum to a story taking Batwoman into the final frontier.